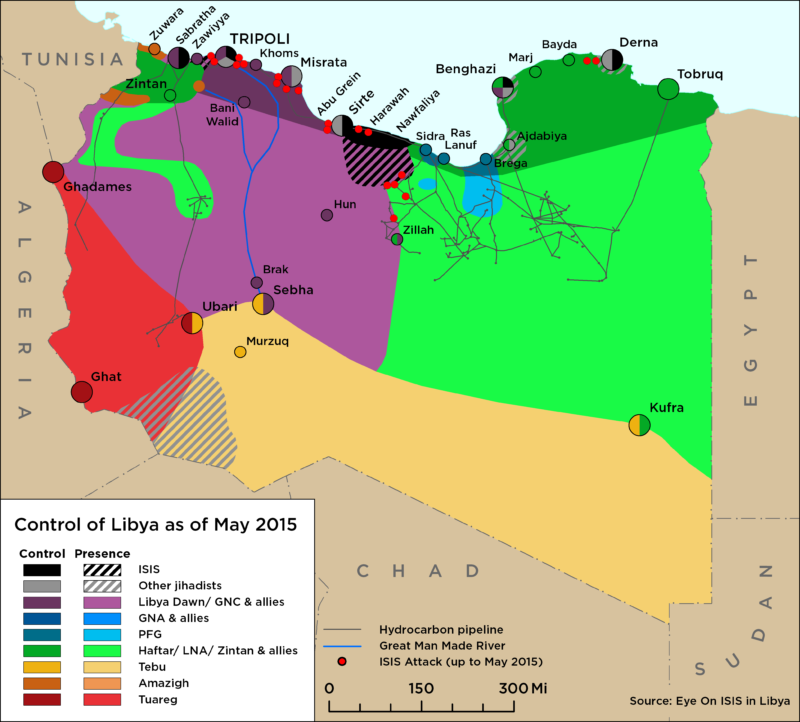 ISIS control of Libya’s coastline has been reduced to approximately 200 km east and west of Sirte… Significant gains made by the Government of National Accord’s (GNA) forces converging on Sirte from the west and southwest have thrown the ISIS rank and file into noticeable chaos. International support has also been key to this week’s explosion of momentum on the western front against ISIS… The spokesperson of the Government of National Accord’s (GNA) Sirte Operations Room said they have started to receive financial and logistical support from the GNA and other countries. 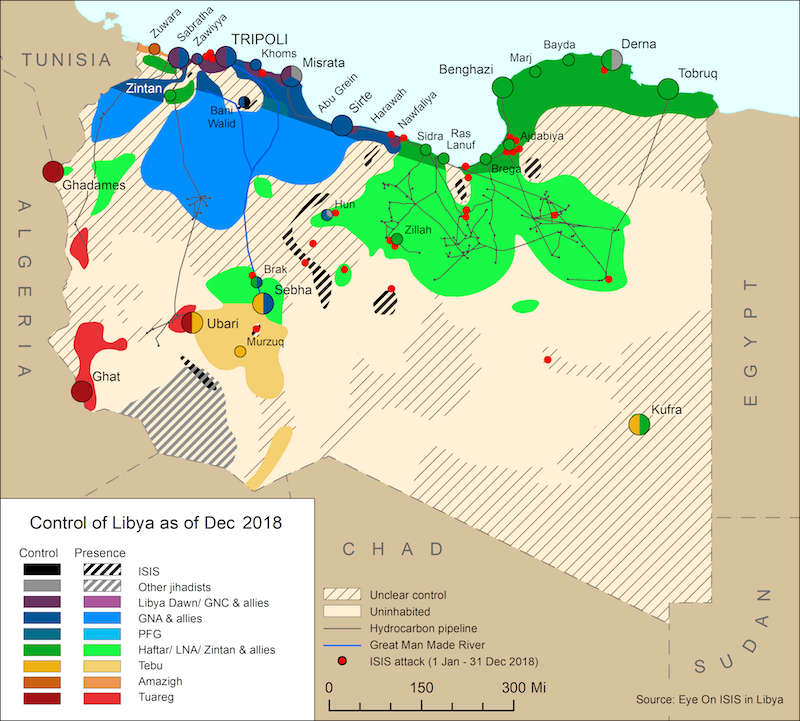 As in recent weeks, Benghazi remains largely under Libyan National Army (LNA) control but fighting continues to take place in the city between LNA units and pockets of ISIS militants, Ansar Al Sharia fighters and the Benghazi Revolutionary Shura Council (BRSC) in the areas of Sabri and Soug Al Hout… The LNA siege of the Derna Mujahedeen Shura Council (DMSC) in Derna is ongoing, as airstrikes have continued to target DMSC positions.